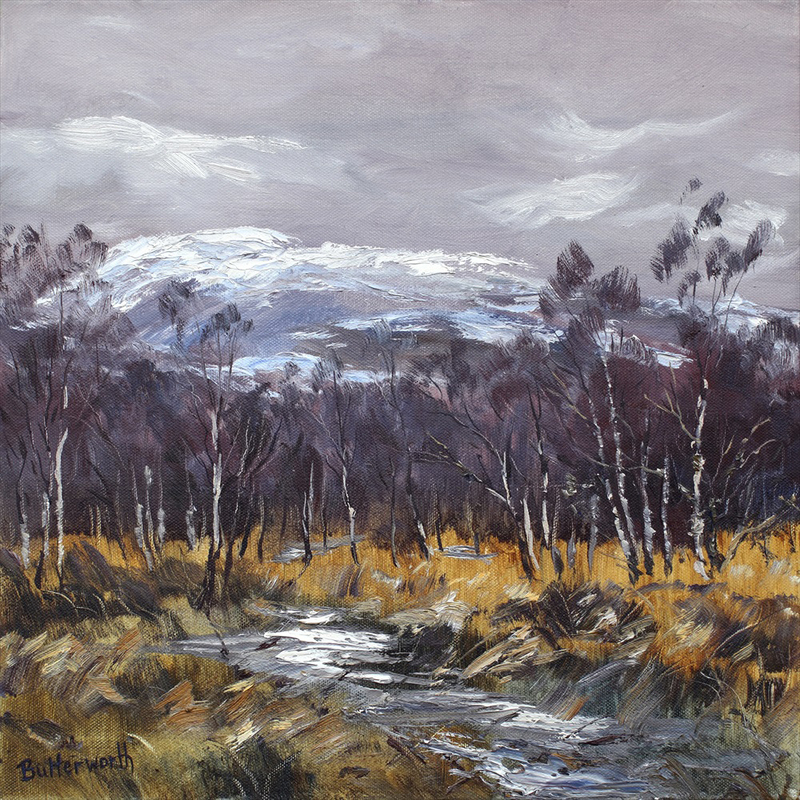 Morven and birches in the Cairngorm National park on a fine winters day. Signed giclee print limited to 30 copies. Approximate image size 40 cm x 40 cm. Printed using UV resistant EPSON Ultrachrome K3 inks on acid-free 310gsm Elegance Velvet archival quality paper, this is a museum quality giclee print offering beautiful color accuracy for a lifetime. Each paper giclee has a 4 cm white border signed by the artist Howard Butterworth which allows it to be framed according to the customers preferences.